The CPI(M) general secretary further said the ruling party's manifesto was a "fresh set of jumlas" which have been "unleashed" upon India. Prime Minister Narendra Modi Monday released the manifesto, titled ‘Sankalpit Bharat, Sashakt Bharat’ (Determined India, Empowered India), which includes including expeditious construction of a Ram temple, a firm hand in dealing with terrorism and doubling farmers income in the next three years. “Is this a surprise? For the last 30 years, every single ‘jumla ghoshna’ of theirs has included construction of the Ram Mandir… This point was continuously being repeated. Every election they did it. Their whole agenda is that of sharpening communal polarisation and hoping that it would garner them some votes. But they are sorely mistaken,” Yechury told reporters. “Their only target is to consolidate the Hindutva communal vote bank. But this time that is not going to happen,” he claimed. The CPI(M) general secretary further said the ruling party’s manifesto was a “fresh set of jumlas” which have been “unleashed” upon India. “But the people will never forget the disaster that this Modi government unleashed on their lives and livelihoods in the past five years. No fresh set of tamasha can hide the truth,” he said. “Jammu and Kashmir has been a disaster. Terrorist attacks have been due to the deepening alienation of the people of the state. The number of terrorist attacks has risen by 176 per cent. “They said that after the surgical strikes it would stop, but after that Pulwama happened. They said after Balakot it would stop, but even after that at least 15 security personnel have been martyred. 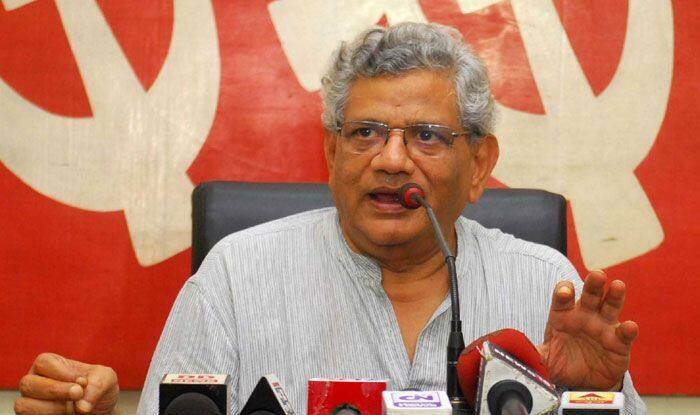 Their statements have further alienated the people and giving fertile ground for terrorism to breed,” Yechury alleged.